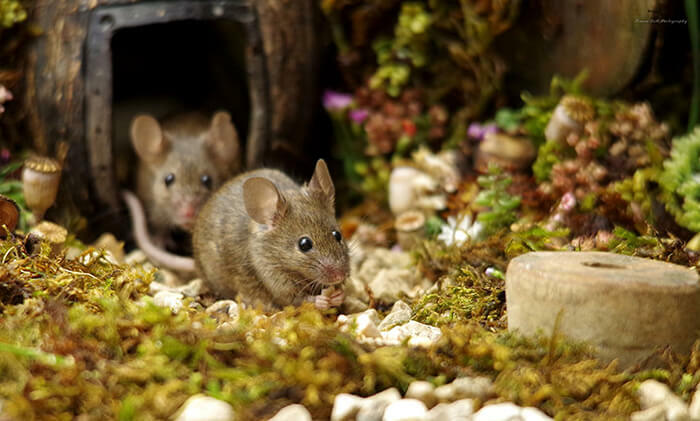 How much would you like to have a family of mice live in your garden? The answers may differ. 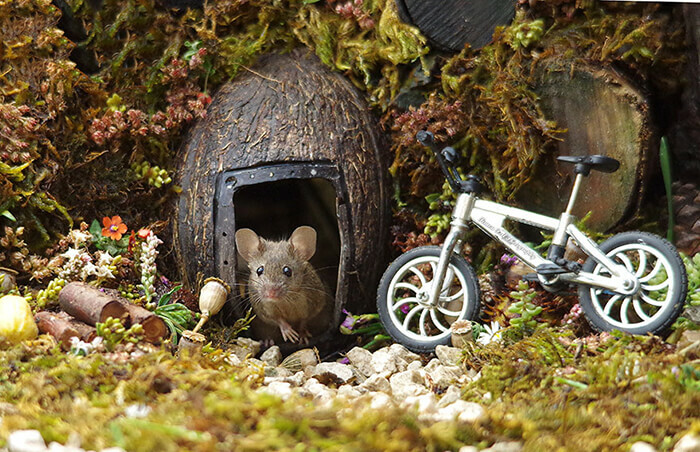 But I guess most of people will try to drive the mice away. 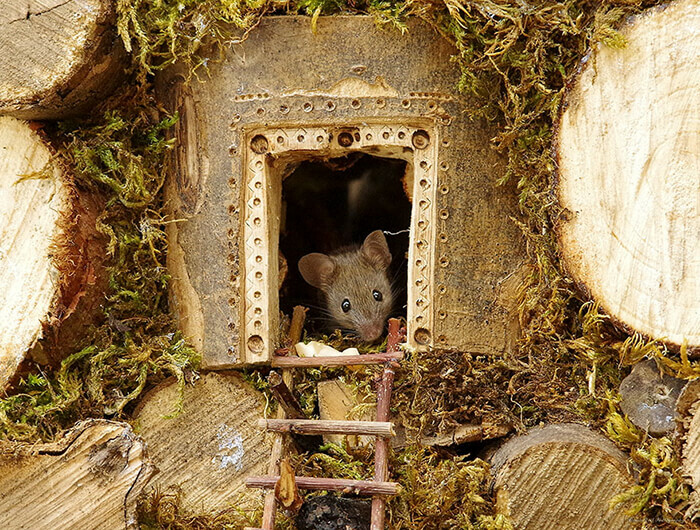 While photographer Simon Dell chooses to build the mice a miniature village with plenty food. 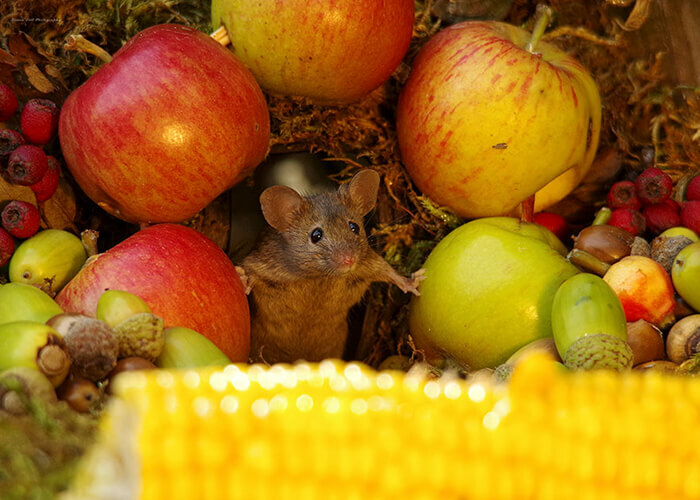 And the mice repaid him by posing in front of his camera. 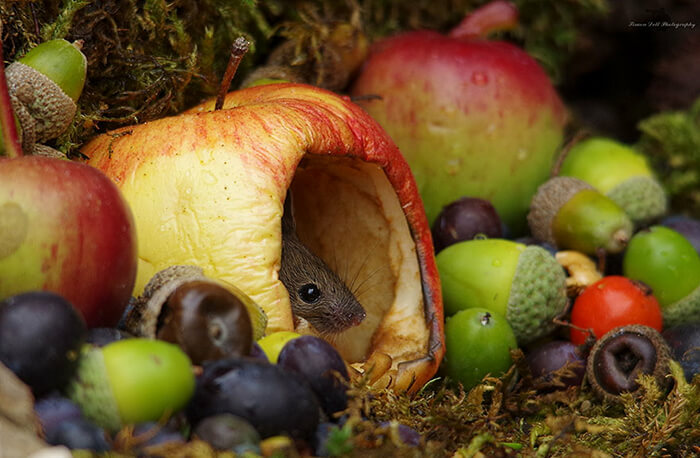 Dell stumbled upon a very cute house mouse standing up just like a marketeer in his garden when he was trying to take some photos of birds. 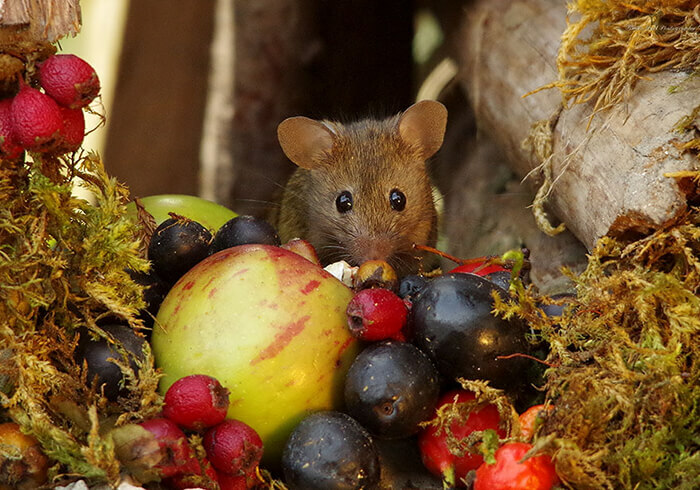 He knew instantly the mouse was a star and ran back inside to get a couple of peanuts to put down for him. Sitting there, waiting, it was only minutes before he came back out for the treats. 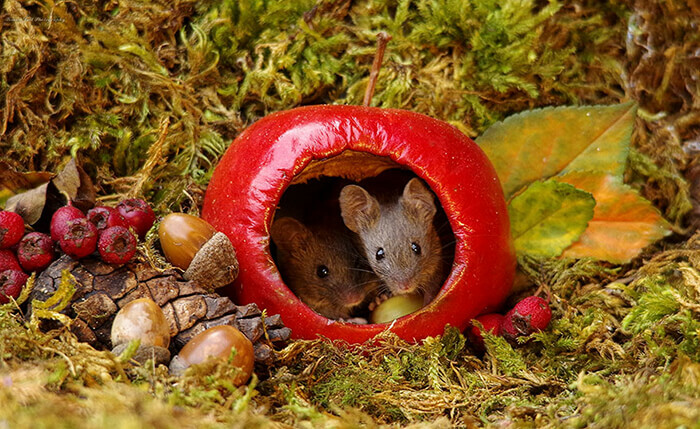 Then he thoughts he could give him a little shelter and safe place to hide and feed. And he did so. 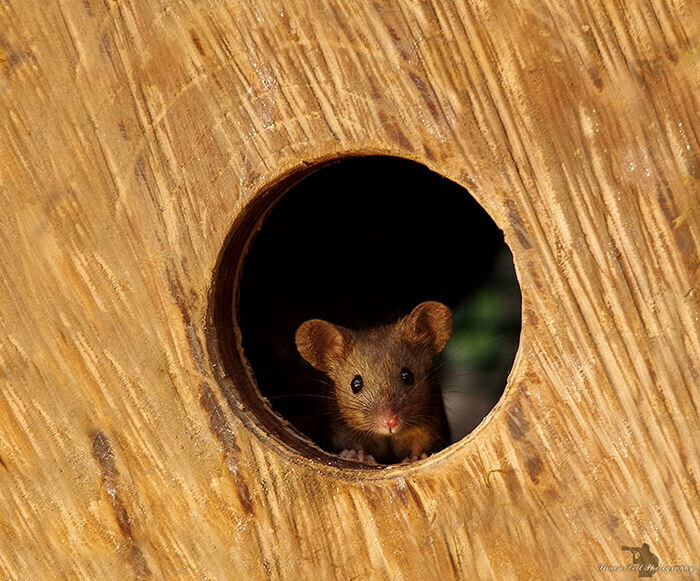 Dell started to pile some small logs around a box as a home for the mouse and covered it with moss and straw to give him a little shelter. 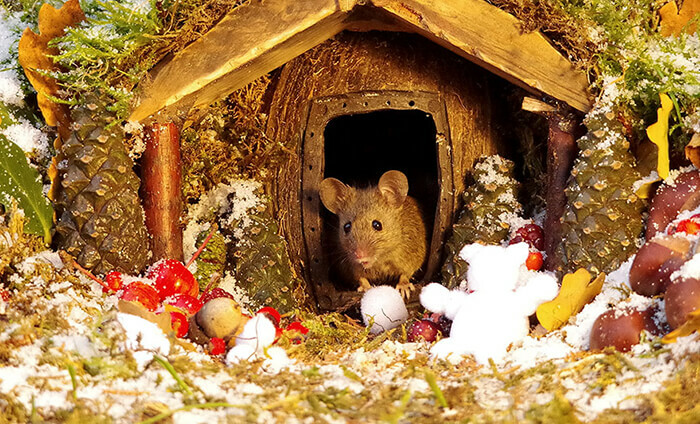 Then Dell found thee were actually more than one mouse living in his garden. 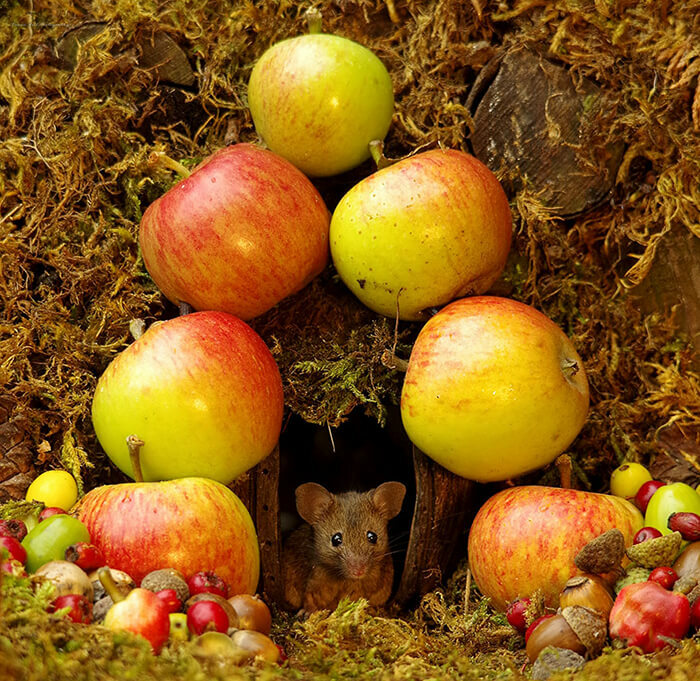 He decided to build a proper home for them. 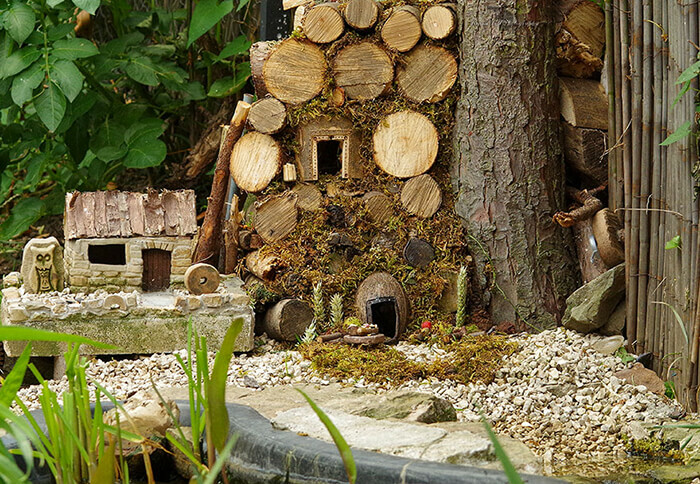 Then a log pile mouse village starts to form. 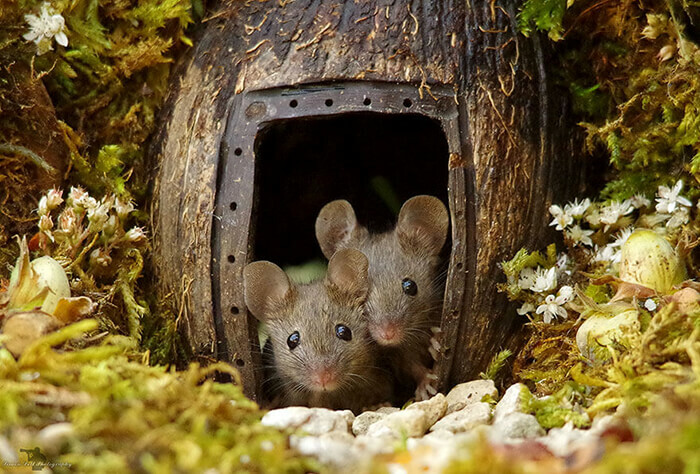 Honestly, I am not quite sure is that good to raise a family of mouse or not. Personally, I will never do that. 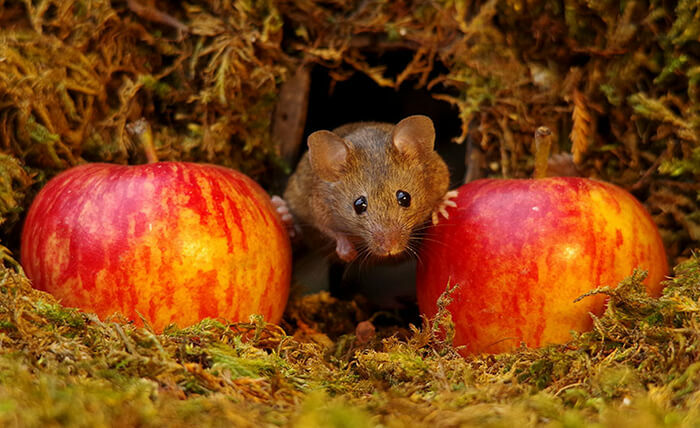 Plenty food and comfortable places will make these wild mice breed crazily. 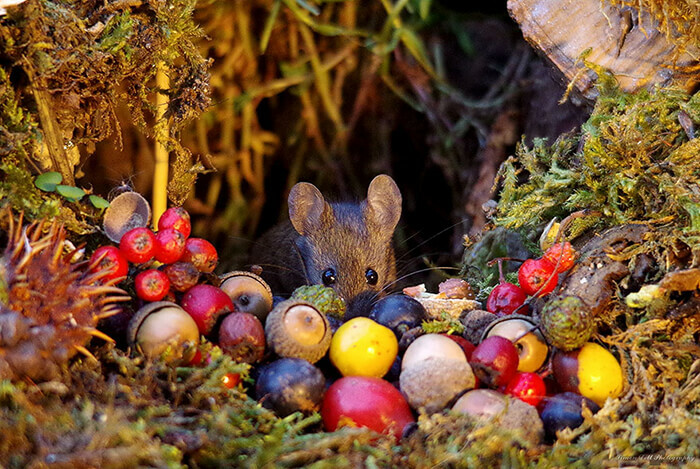 And one day, that photographer might regret to find these mice not are not satisfied with the food he supplies and decide take their own action.